The D850 is an incredible camera. 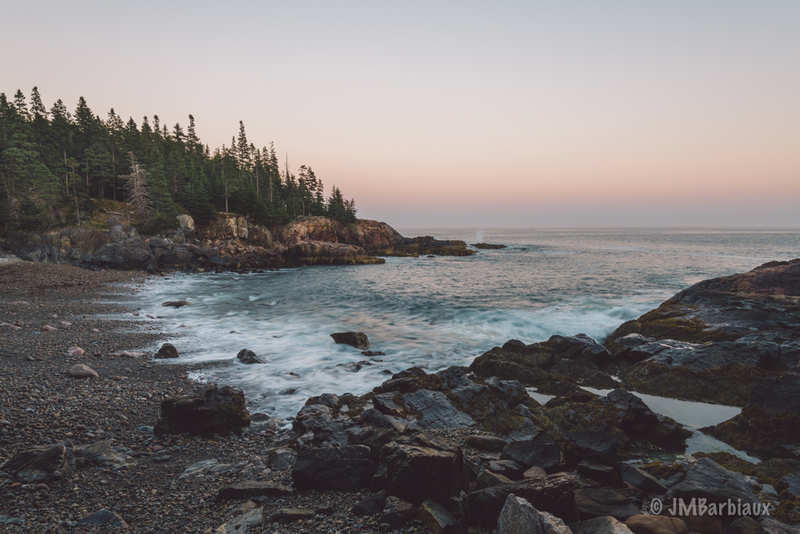 Maine is a beautiful state. 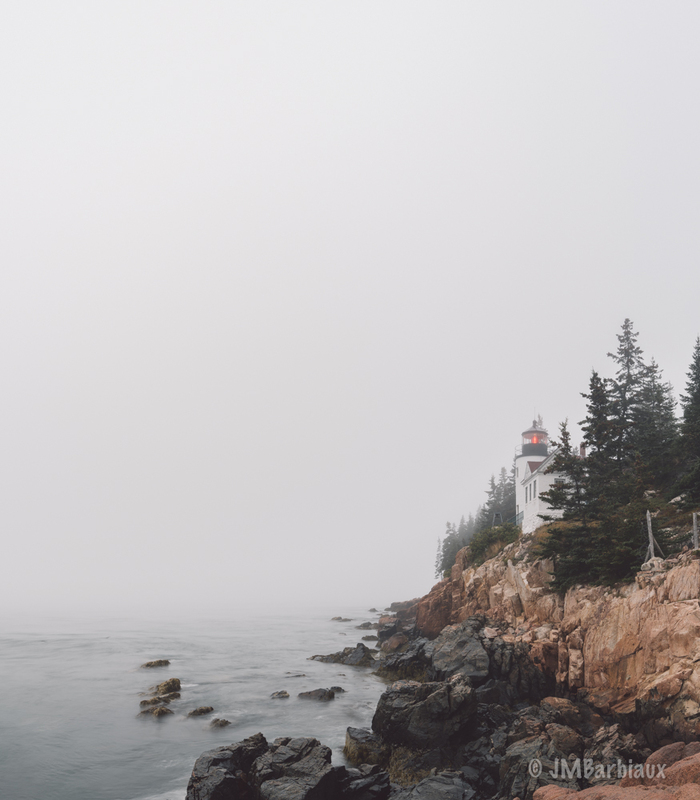 Acadia National Park is breathtaking. And I will never use Thrifty car rental service again… Unless I hate my money. These are just a few of the things I learned on my recent trip to Acadia National Park with the Nikon D850. 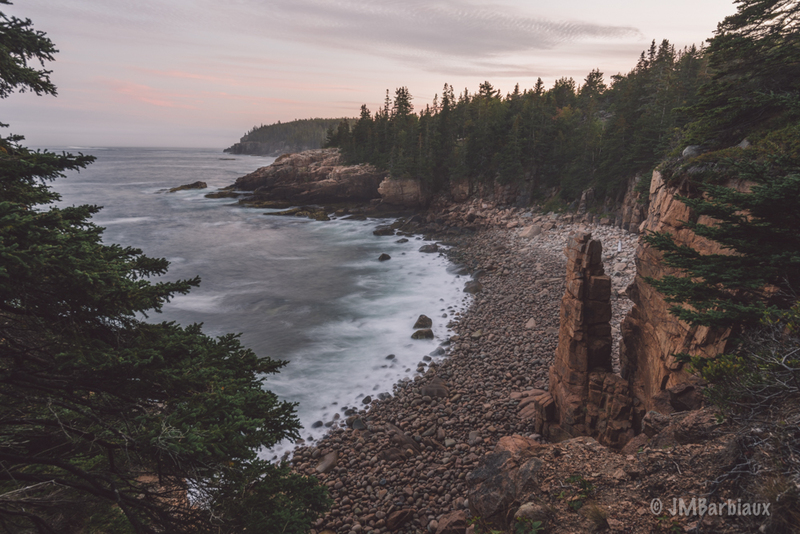 In the article below I’m going to share some of the images I created, some insight into the images, and my thoughts on the D850 and Acadia. If you’d like to read my initial review of the camera where I talk a little about the specs and differences between the D810 and the D850 you can do so here. The gear used: Nikon D850, Nikon 16-35mm f/4, and the Nikon 70-200mm f/2.8. 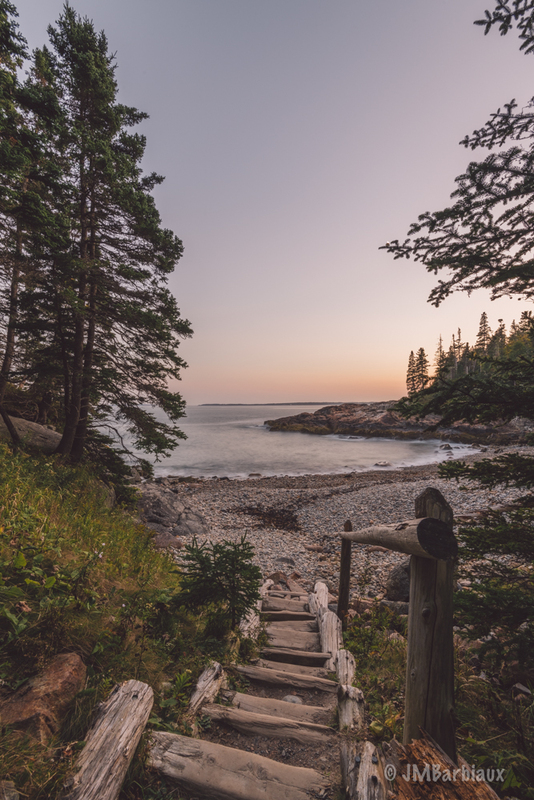 The first tip I have for you is bring bug spray when visiting Acadia unless you enjoy being penetrated by hundreds of mosquitos as you take your photos. The second tip is to bring your LensPen with you as it’s one of the most important pieces of gear if you want crisp, clear shots every time… You’ll inevitably shoot next to the sea where spray will likely spot up your glass, mosquitos will leave tiny foot prints on your glass (I think I’m kidding), and the LensPen is the single best tool for cleaning your lens in the field (no, I do not get paid by them to say that, though I would not turn them down). 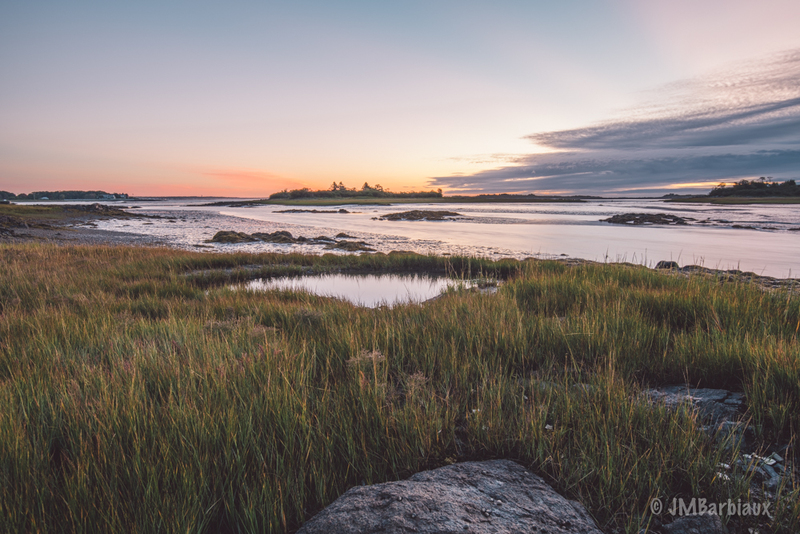 The first day in Acadia looked to be the most promising in regards to a clear sky for landscape astrophotography, I wanted to really test the high ISO image quality of the D850. Unfortunately, we didn’t arrive until after dark so finding where we wanted to shoot the sky was quite difficult. I had an idea of where I wanted to go but finding it was going to be tough, it was a small beach off the beaten path with no markings. Fortunately, Google maps worked great and I was able to find it relatively quickly. 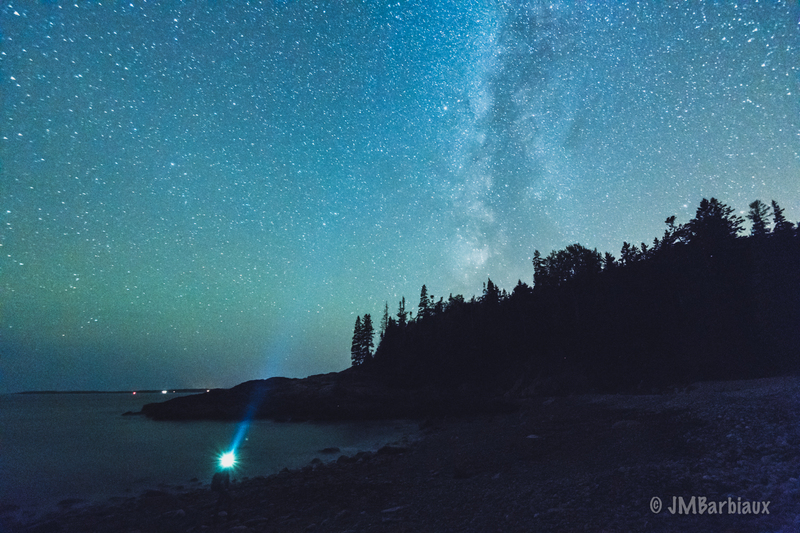 The Milky Way in Acadia National Park shot at ISO 8000 with very minimal noise reduction. The shot above is a single frame taken at ISO 8000 and 30 seconds with the Nikon 16-35mm f/4. In an ideal world I’d have been able to take this at ISO 6400 and 20 or 25 seconds to keep the stars fine points in the sky as opposed to tiny dashes. This is the balance I struck between a slightly exposed foreground and adequate representation of the Milky Way. If I were doing landscape astrophotography more often I would invest in a lens like the Nikon 14-24mm f/2.8 for the extra stops of light. The D850 handled the low light like a champ and it was easy to pick out a distant star to manually focus by zooming in on the improved LCD screen and adjusting the focus until the star was a tight dot. The LCD improvement is one of the most noticeable improvement from the D810 to the D850, it’s beautifully crisp and clear which makes it a breeze to do things like this as well as checking your focus between shots. 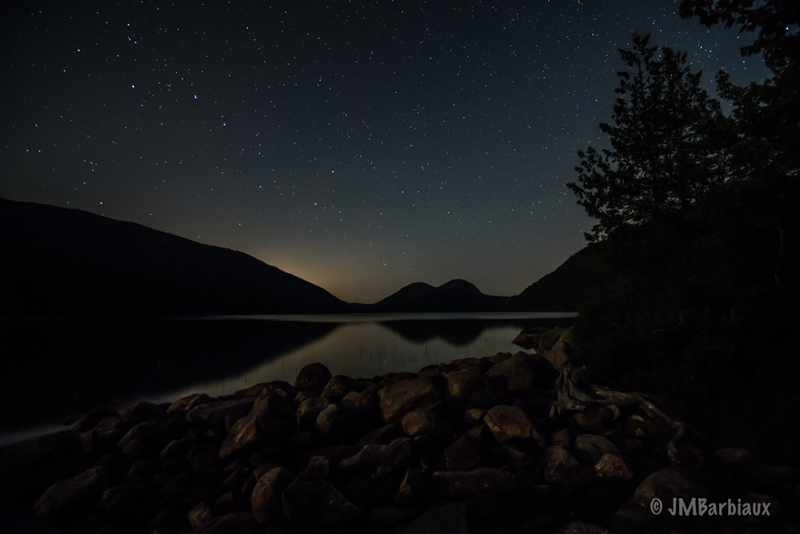 The next night we were able to practice a little more astrophotography with the D850 at Jordan Pond. Say what you will about shooting in complete darkness but I prefer shooting with a little moonlight to backlight my foreground. I was able to capture this shot at ISO 3200 which gave me flexibility in post processing and a little more detail. Overall it’s a cleaner image because of the lower ISO. Correct me if I’m wrong but I believe that is the big dipper in the top left of the image. Imagine my disappointment when I found out (I suspected as much) that the D850’s new focus stacking feature could only be used when shooting JPEG’s. 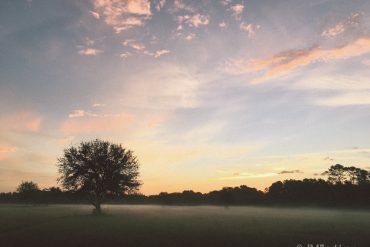 I’m not a RAW snob, though I do only shoot in RAW, but I do need the flexibility that RAW provides for the dynamic lighting situations I encounter on a daily basis. There is a work around, if you’re determined to use the new feature, you can create 3 focus stacked images at different exposures (under, correct, over) to create a HDR file that would give you the flexibility of a RAW file (or more). But, then you’re back to spending the same amount of time it would take to manually create your focus stacked images to stack later in post processing… I opted to do everything manually with RAW files. Update: I stand corrected! You can focus shift (stack) using NEF/RAW files within the D850. If I had a time machine I would go back and show the results of that but… Dang Flux Capacitor. These images were done manually but rest assured, I will be taking advantage of the ability to have the camera automagically shift focus between shots to save lots of time. 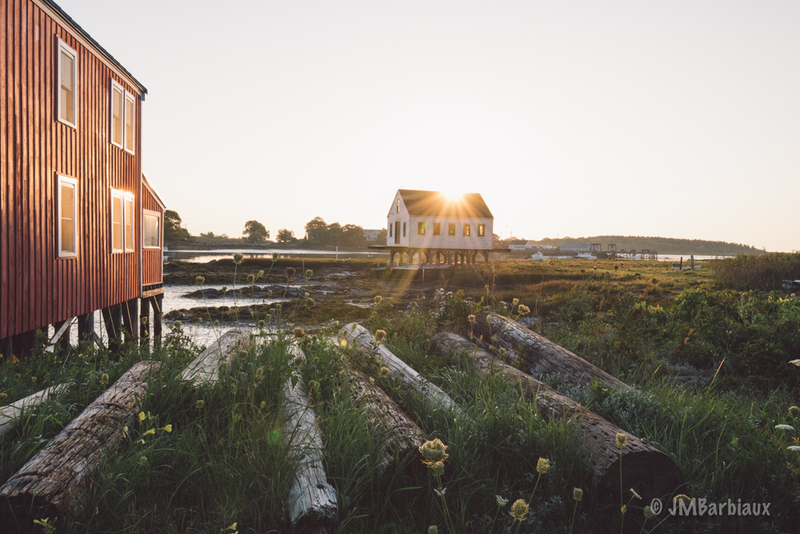 This image was taken at Pier 77 in Kennebunkport, Maine on the way to Acadia. I manually changed the focus through the frame and then combined all the images in Photoshop to create an image that is sharp from top to bottom, corner to corner. As you can probably tell, I was quite excited for the focus stack feature the D850 promises. Imagine the time you could save if you simply frame your shot and let the camera move the focus throughout. Unfortunately, this just isn’t possible with RAW files on the D850. Fortunately, this is something that may be able to be added via a software update in the future. At the end of the day, this isn’t a deal breaker because manually focus stacking is easy and relatively fast. 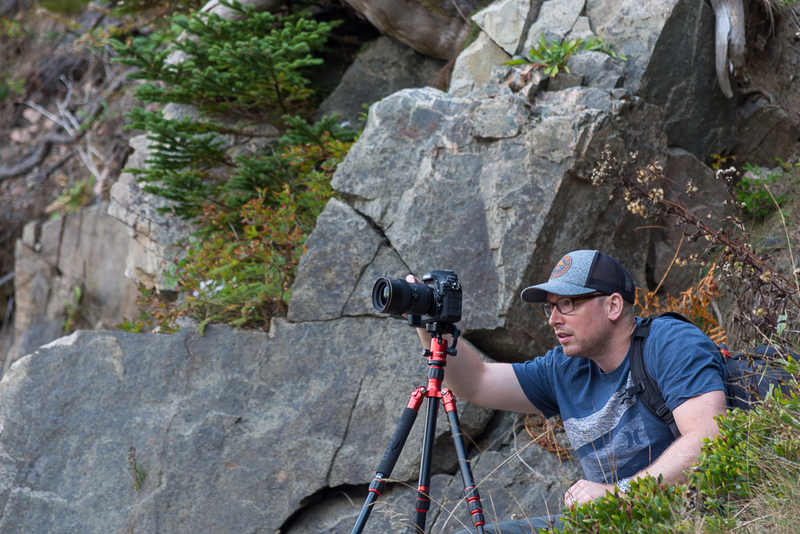 For more information on the importance of focus stacking in landscape photography and the difference between images that are focus stacked and ones that are not you can check out this article here. 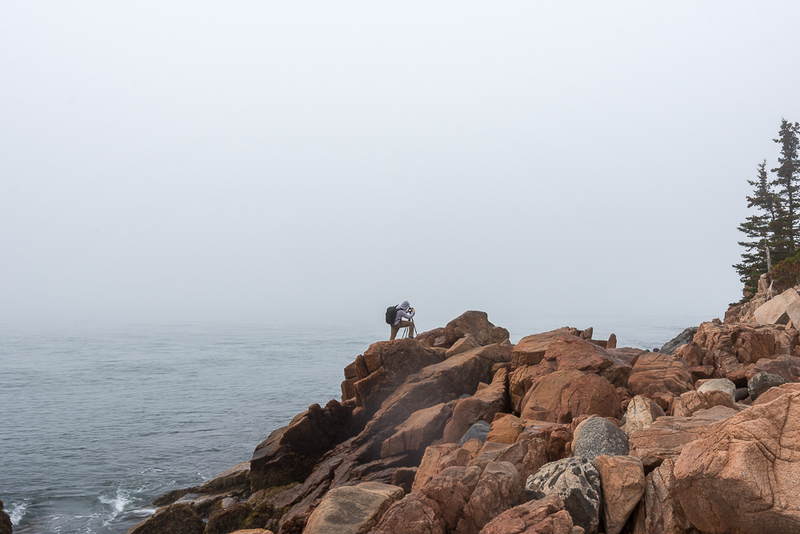 The D850 is a tough camera, I never thought twice about using it next to ocean spray or in dense mist-like fog. Had it rained or snowed I would have continued on as normal without worrying about sheltering my camera in my bag. One of the best additions that I didn’t think I would care about is the tilting LCD screen. If you read various comments below articles on the D850 you’ll find a fair amount of readers poo-pooing tilting LCD screens for whatever reason but I have to say, it ended up being a huge help. Creating the shot above I had to lower the camera to just above the surface of the rock (so the reflection of the lighthouse was in the puddle). 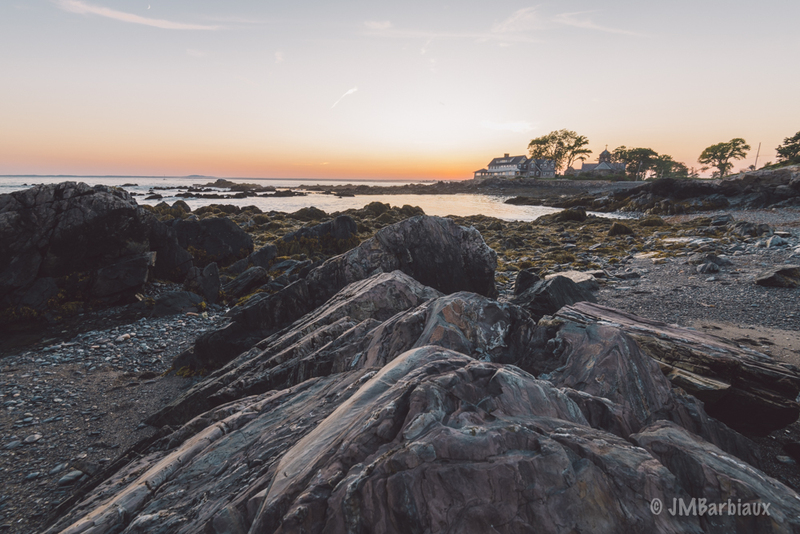 With the D810 I would have taken a number of shots and made little adjustments until the framing was where I wanted it… Or laid on the rock and soaked myself in the tidal pool I was standing in. Fortunately, I was able to tilt the LCD screen, frame my shot, and move on in a short period of time which was great since the ocean was covering me and the camera in salt water each time a wave crashed on the rock I was standing on. Here is another instance where the LCD screen saved me time and energy by allowing me to compose quickly and move on. I had to climb up a large boulder and perch myself precariously on the edge of it to capture this image. 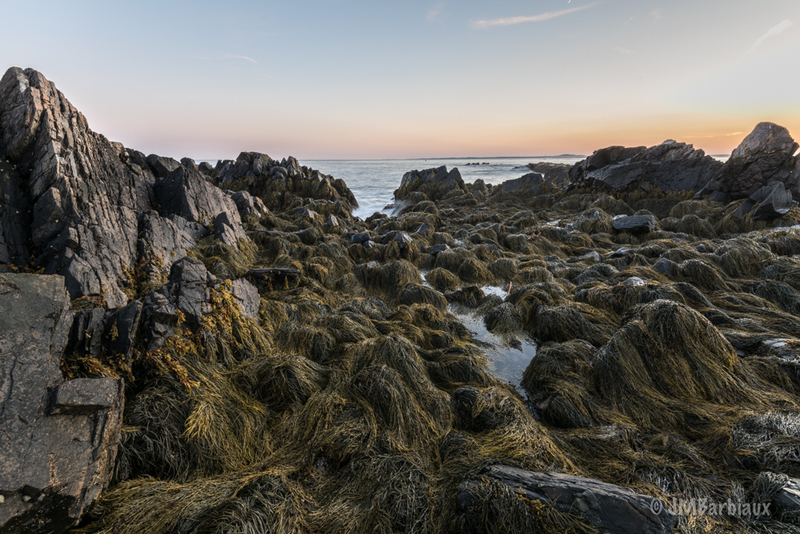 I needed to be higher so I could include the tide pools on the bottom right, if this shot was taken on the ground the pools would have been obscured by other large boulders. I wedged my tripod in a crack on the rock and used the tilting LCD to safely take the shot as opposed to trying to lean down and possibly lose my balance and fall onto sharp rocks below. The image above was taken by my mom, who never shy’s away from a photography adventure and is an incredible photographer herself. 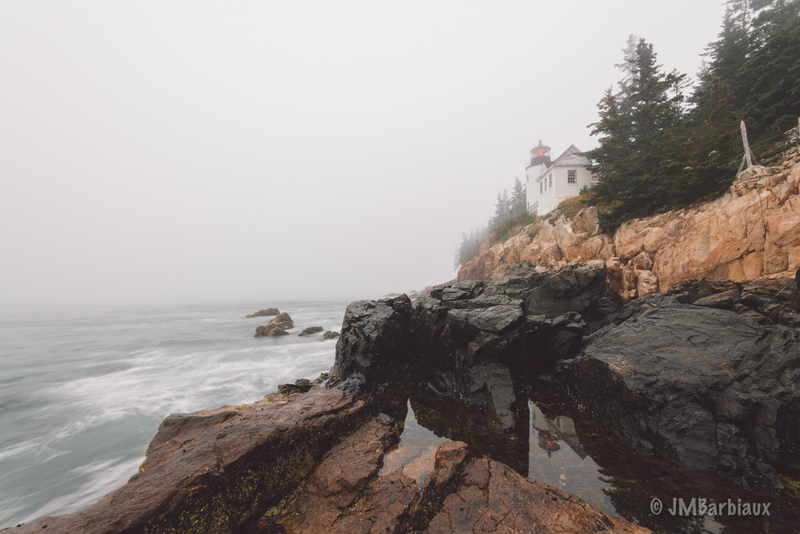 This image was taken right before I crawled down that large boulder and set up on the rock I used to create the lighthouse image with the reflection in the puddle. 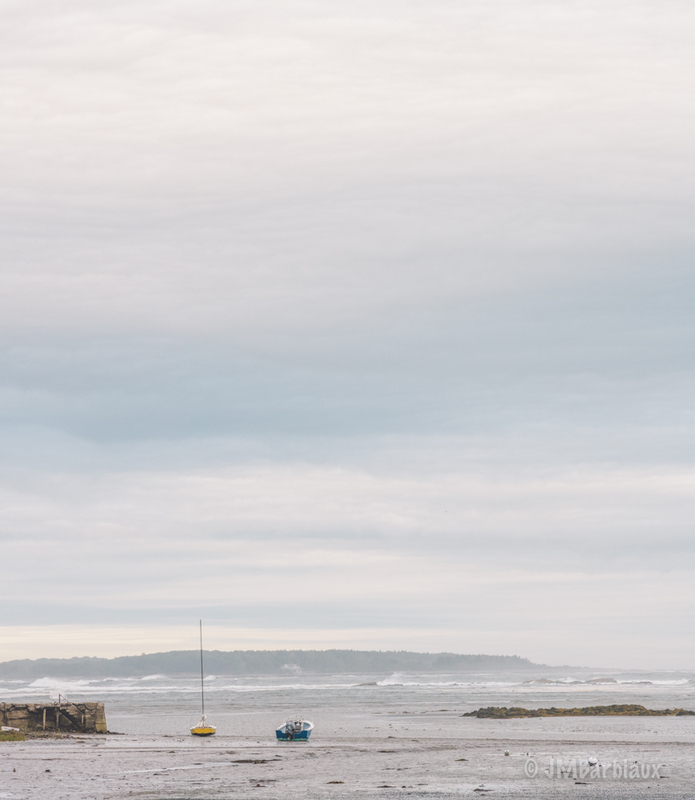 The shot below is what I created while standing in the area you see above, my favorite shot I took of this lighthouse. As I mentioned in the initial review, shedding the onboard flash to make the camera more durable in less than ideal weather was a welcome change. It seems as if Nikon went out of their way to make sure the D850 was able to withstand just about any weather that was thrown at it. Aside from that and the tilting LCD screen, the buttons now illuminate when you push the on lever past on. This was helpful while creating the landscape astrophotography images you saw at the top of the article. St. Ann’s Episcopal Church, Kennebunkport, ME. After shooting for roughly a week and changing back and forth between the Nikon 16-35mm lens and the 70-200mm lens I didn’t notice any dust on the sensor (to my astonishment). Normally I wouldn’t be that concerned but after owning two different D600/610 cameras I’m prone to check for dust (or oil) more often than not. The Nikon D850 has found a permanent home in my stable of photography tools. I found it to be a large enough improvement over the D810 that it justifies moving up. The larger files are helpful for firms that want larger and larger prints for clients, the build quality is a welcomed improvement, the tilting LCD screen proved itself very useful, and the improved low light auto-focus was incredibly helpful. All in all, if the D810 is your workhorse and you’re pushing it to the limits then I’d highly recommend getting your hands on a D850. All images included here are copyrighted and have been downsized to keep the website running smoothly. 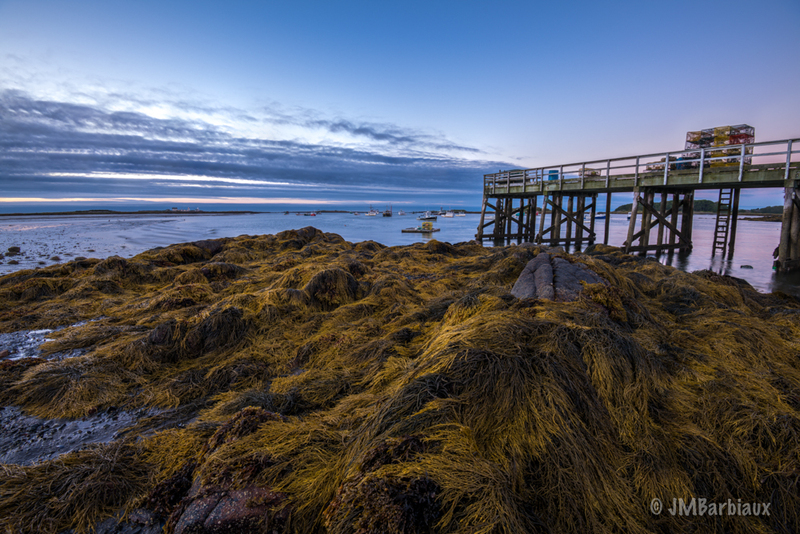 If you’d like to inquire about purchasing a high-resolution, museum quality print you are welcome to contact me here. Please feel free to leave your thoughts in the comments section below. Thank you! I have updated the article. Why did you originally think you could only use the focus shift feature with jpegs? The manual does not say anything that would suggest that. Hey Benny, because of the HDR feature in the previous models and the fact that it was grayed out and “not available with current settings” when I would try to select it. I later realized the reason it was grayed out was because I had not set the clock in the camera.